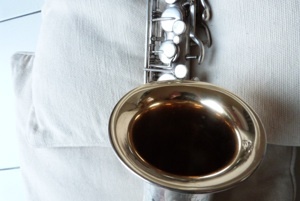 The gold wash on the bell, the key cups and the body ring are also magnified by the polishing. 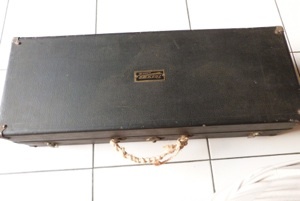 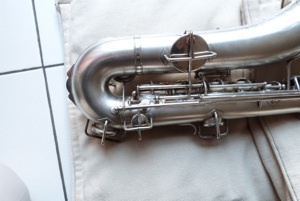 The serial n° 106 890 situates its making in 1922, the golden age of the C-melody with the americain public, litterally crazy about saxophone. 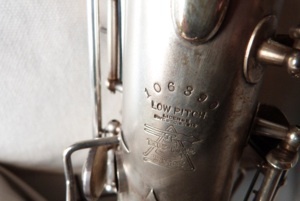 Low Pictch : A tuned 440 Hz. 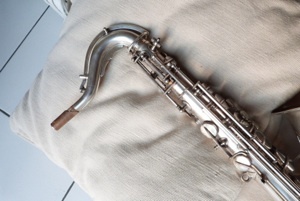 Two details typical of Buescher instruments : the reinforcements of low curve and neck are very similar. 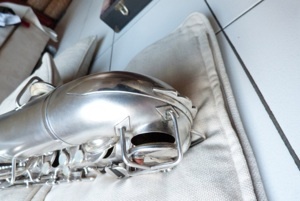 This last is often called «man in the moon» (we can see a moon-shaped face in it). 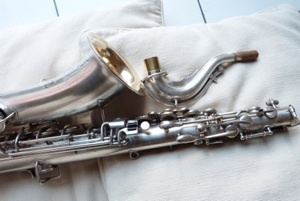 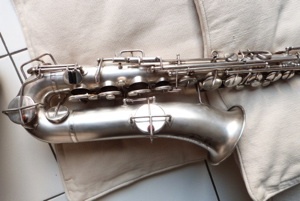 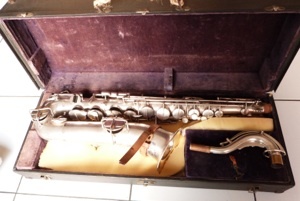 This magnificent silver-plated Buescher C-melody saxophone is still in a perfect state of conservation. 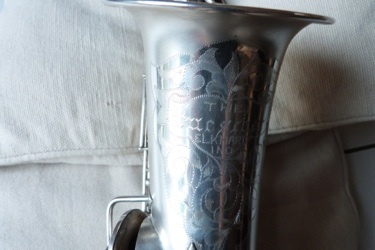 Its beautifully polished floral engraving is jumping out, contrasting with the satin finish of the rest of the body of the instrument. 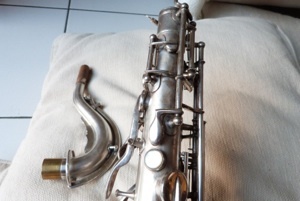 The body of the instrument and its silver plating are still intact after 90 years.